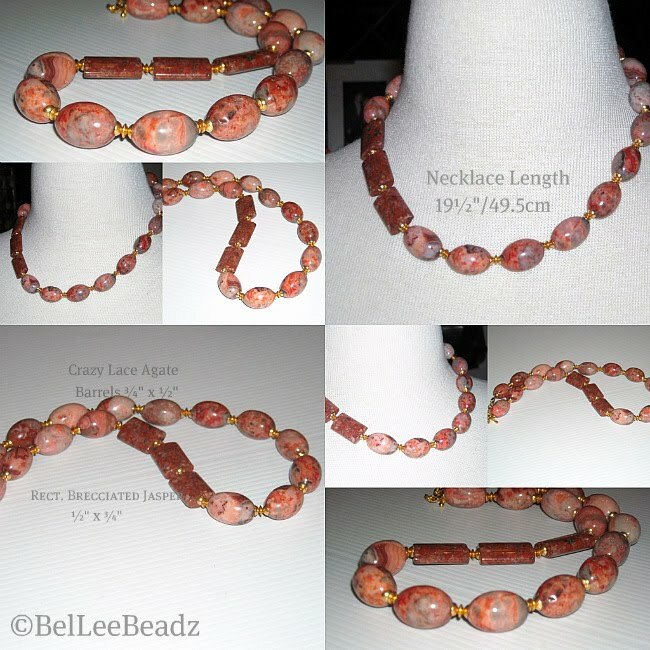 I just loved the color scheme of these stones that I went thru' the entire wall of beads just to ensure that I could get my hands on every possible shape of these gorgeous barrell agate stones. Unfortunately, this was the only shape they had. I managed to find jasper stones in a complementing color in a nice rectangle shape so I purchased whatever was available. These have to be appreciated in person. Shades of peach, brick red, grey, with natural inclusions and swirls and veins in the agate and the darker brick tone of the rectangular jasper just go so well together.